1 2 3 4 5 Click to share your rating 11 ratings (4.5/5.0 average) Thanks for your vote! 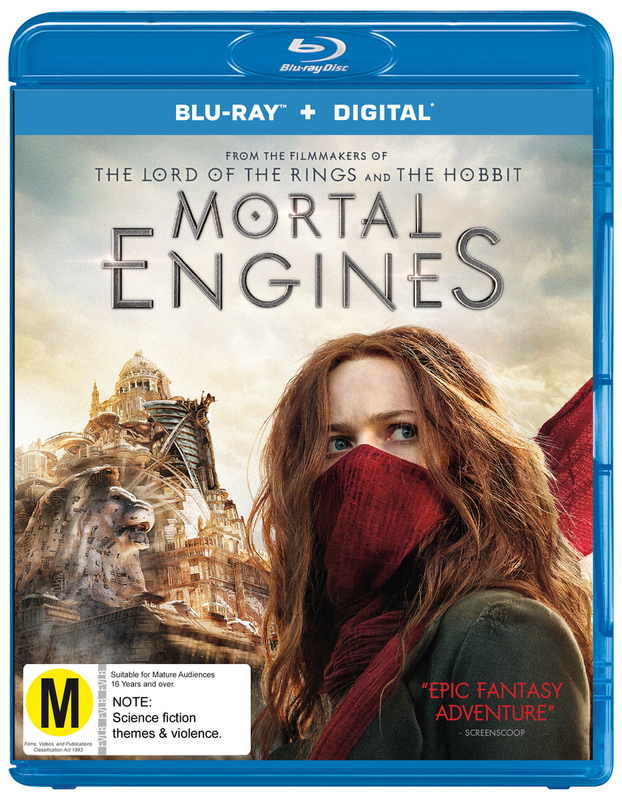 20.18% of people buy Mortal Engines and Fantastic Beasts: The Crimes Of Grindelwald ~ Blu-ray. "fast paced fantasy driven by full digital audio"
The start of the movie creates the theme that generates the heavy action and visual landscape which moves the production into a fast paced fantasy film. 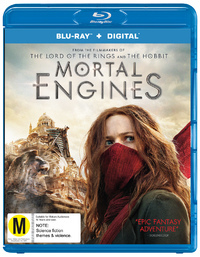 Driving the on screen drama is a full 5.1 digital audio the moves Mortal Engines into an entertaining fantasy adventure. When you hear Peter Jackson's name you expect a monster, this is no exception. How this didn't succeed at the box office is beyond me. I am no officionado of the mortal engines books and deffer to those who are but here think steam punk meets starwars meets terminator and you're in the ball park. The action is relentless, the acting plausable and it is cinamaticaly stunning especially in 3D. It feels, however, as if it is a little too crowded and should have been delivered in more than one movie but given the size of the series they seem to have tried to create a short hand version of a very big and diverse world. I loved this and 128 minutes flys by. Give it a go if you enjoy a big action shoot out; boy gets girl movie.